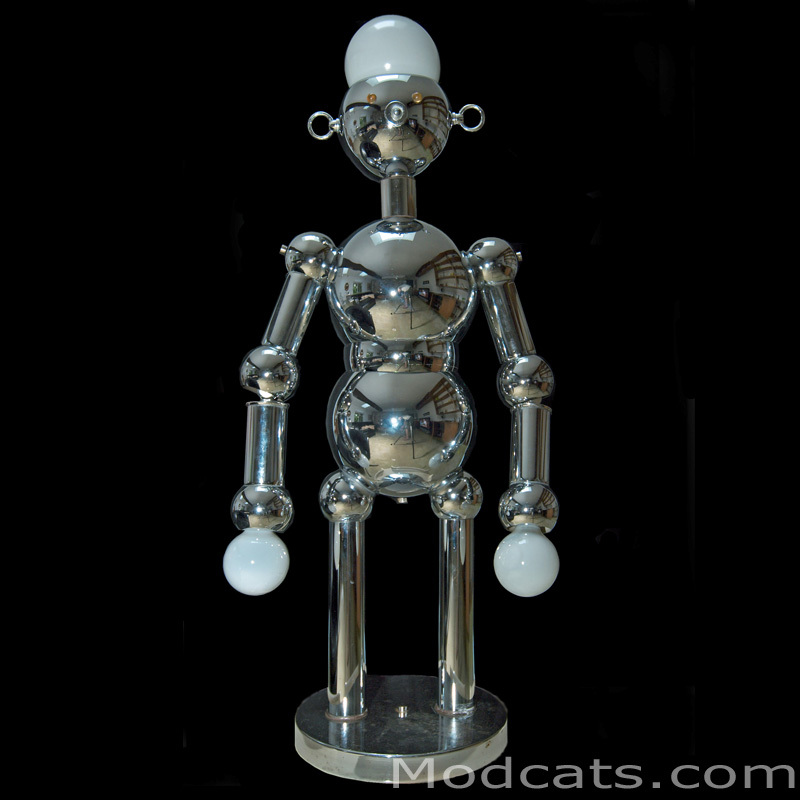 Largest (the Daddy) and most desirable of a series of vintage Chrome Robot lamps produced by the Torino Lamp company of Italy. This one stands at just over three feet high with jointed shoulders and elbows. The nose is a three way switch allowing hands-on, head-on and all-on lighting configurations. Ceramic bulb holders - fully functional.